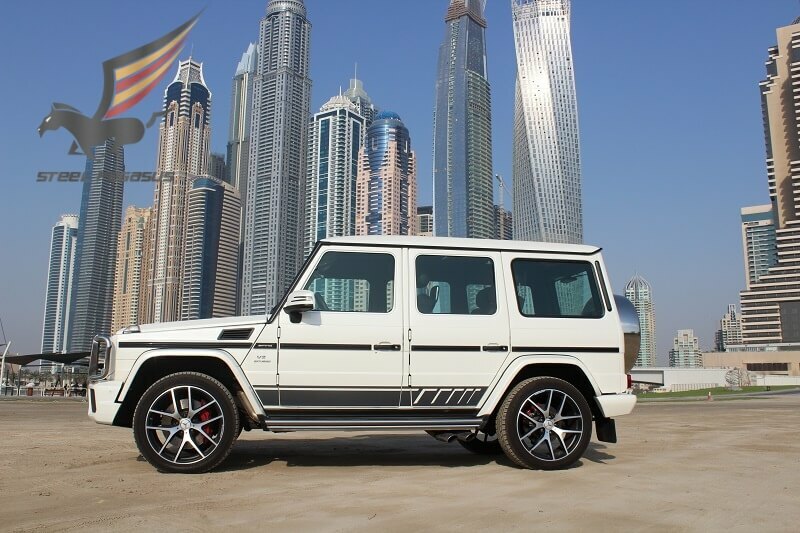 Mercedes Benz G63 amg white is a bright, representative SUV for hire in Dubai. 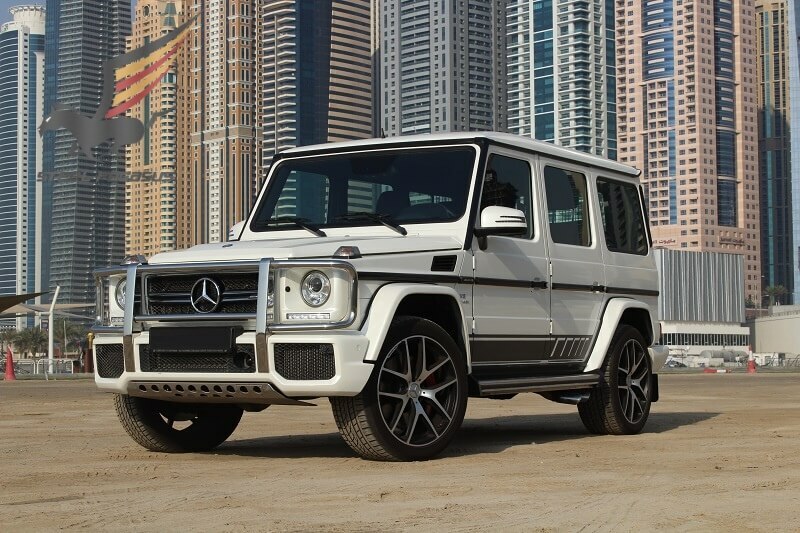 Rent Mercedes-Benz G63 in Dubai in different color. 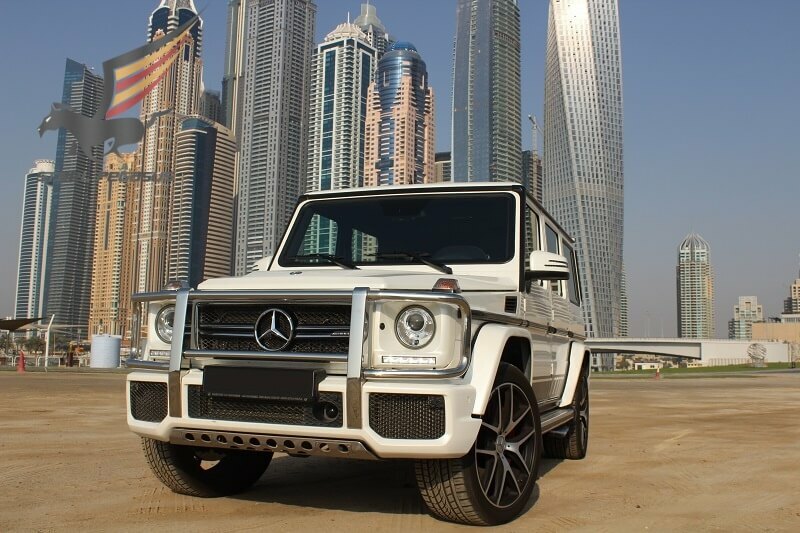 Engine, and a supermodern saloon. 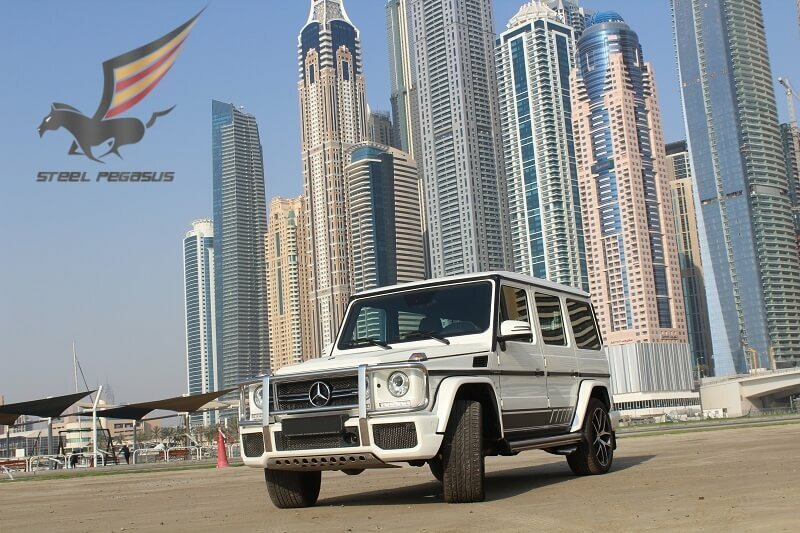 Take this car for hire in Dubai and experience it yourself, the G63 has an inexpressible character.